How to Convert MP4 to WMV on Mac with Best MP4 to WMV Converter for Mac? For certain reason, you may need to convert MP4 to WMV format on your Mac computer. In such circumstance, you need a Mac MP4 to WMV converter to help you do this. Here is a guide on how to convert MP4 to WMV on Mac. MP4 is short for MPEG-4 Part 14. It is a container format most commonly used to store videos and audios. Also, it can be used to store subtitles, images, etc. Like most container formats, it allows multimedia streaming over the internet. MP4 is the official filename extension for MP4 files; it is the most common format for smart phones, tablets, media players, and thousands of other devices. Other extensions include .m4a, .m4p, and .m4a. WMV is short for Windows Media Video. It is a video compression format developed by Microsoft for several proprietary codecs. Its main competitors are MPEG-4 AVC, AVS, RealVideo, and MPEG-4 ASP. WMV was originally designed for internet streaming applications. Through standardization by the Society of Motion Picture and Television Engineers (SMPTE), WMV 9 has gained adoption for physical-delivery formats such as HD DVD and Blu-ray Disc. 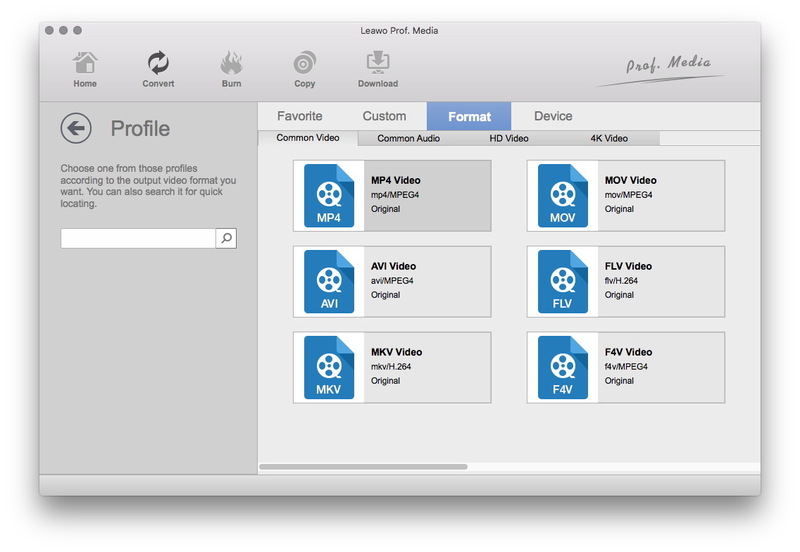 Download and install Leawo Video Converter for Mac on your Mac computer. 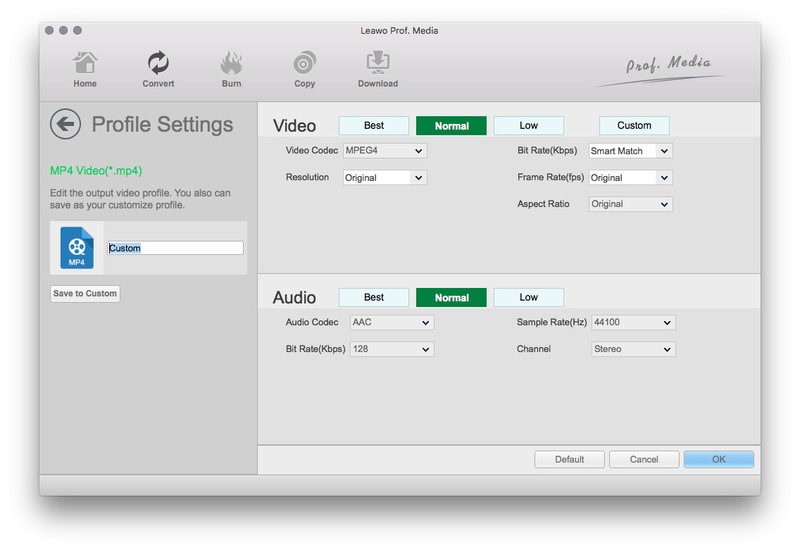 After the installation completes, kick off the program and start to convert MP4 to WMV Mac. 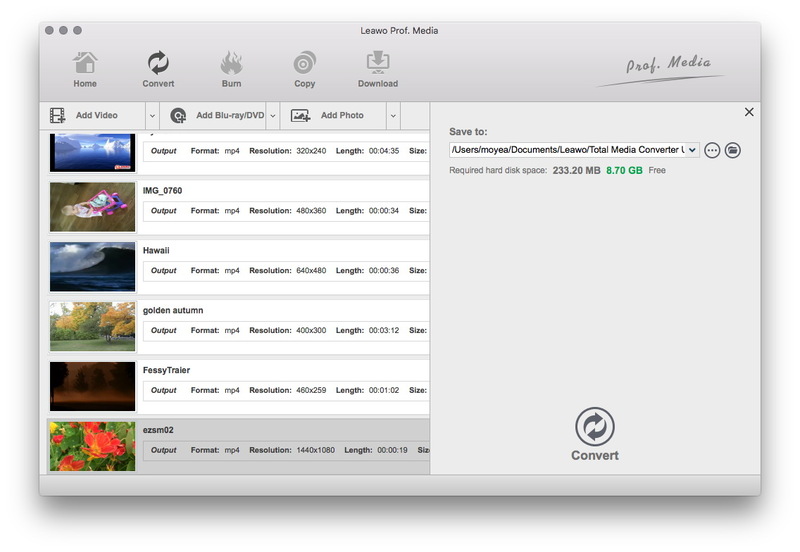 Under the “Convert” module, click the “Add Video” button or directlry drag source MP4 video files that you’ve stored on your Mac into this MP4 to WMV converter for Mac. 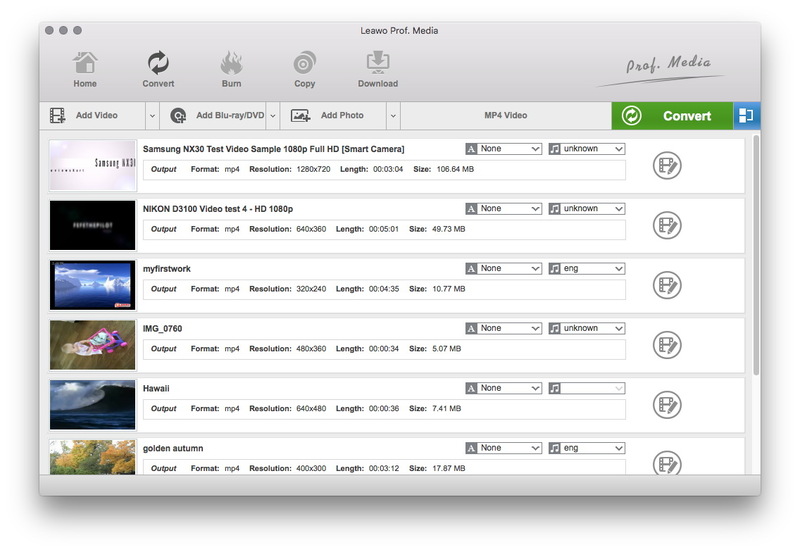 You could get all information on the left processing list, import multiple MP4 video files for batch MP4 to WMV conversion, edit loaded MP4 video files, add 3D effect, etc. After importing source MP4 files, click the drop-down box before the big green “Convert” button and then select “Change” option to enter the Profile window for output format setting. To convert MP4 to WMV, you need to open “Format > Common Video” group to select WMV as output format. At last, start converting MPEG to Final Cut Pro MP4 or MOV format on Mac by clicking the bottom “Convert” button on the sidebar. When the conversion is finished, you could import the converted MPEG files into Final Cut Pro (X) for editing. Note: For Windows users, please click here to learn how to convert MP4 files to WMV format on PC easily.